It gives me great pleasure as the Principal of Napperby Primary School to welcome you to the school website. 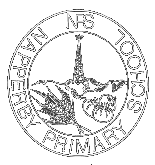 The Napperby Primary School website exists to enable students, parents, and our wider school community an opportunity to learn more about the school, its policies and procedures, its fantastic teaching and learning programs and, its unique niche in the Port Pirie Partnership of (Public) Schools. At Napperby Primary School we believe that the education of children is best served by developing and maintaining a strong partnership between home and school. We work closely with families to ensure we have the best possible support in place to support student learning, student wellbeing and student achievement. Keep up-to-date with all the latest news at Napperby Primary School by reading the current issue of our newsletter. We have an onsite Preschool where students participate in a play-based, literacy-rich environment. We also run a playgroup session once a week. Find out what’s happening at Napperby Primary School by viewing our Term Planner and Events Calendar.